SPOILER ALERT: A few spoilers ahead, so if you haven’t yet seen these films, proceed with caution. CS Lewis’ classic “The Chronicles of Narnia” series has long been celebrated for its symbolic connections between the books’ fantastical plotlines and the Bible. 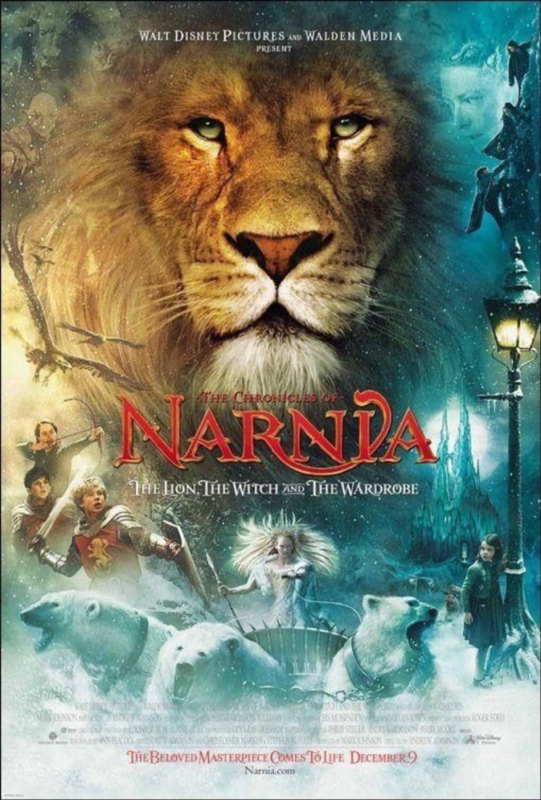 Disney’s release of “The Lion, The Witch and The Wardrobe” in 2005 brought Lewis’ book to life in breathtaking fashion. While watching, we find ample connections between the movie and scripture. Every Christmas feels warmer when “It’s A Wonderful Life” is playing. Arguably the most classic of classic Christmas movies, this film reminds us that even if your life doesn’t play out the way you thought it would, that doesn’t mean that God isn’t at work in powerful ways. In Isaiah 55:8-9 we read, “’For my thoughts are not your thoughts, neither are your ways my ways,’ declares the Lord. ‘As the heavens are higher than the earth, so are my ways higher than your ways and my thoughts than your thoughts.’” Peter Bailey had big dreams for what he expected his life to look like, but in actuality, everything panned out completely different. Overcome with regret, he’s unable to see the ways that he serves as a powerful blessing to his community. Through divine intervention, Peter realizes that even though God’s plans for his life were different than Peter’s, ultimately God’s plans were truly perfect. In 2003’s “Elf,” Will Ferrell hilariously cements Buddy the Elf into the Christmas classic cannon. This charming, funny and quirky family movie depicts a naïve elf’s attempts to find his way in the big city after leaving the North Pole. Buddy feels like a stranger everywhere he goes. As a full-grown human, he’s too big to fit in with his adopted family of North Pole elves. When he leaves his adoptive family to find his biological family in New York, Buddy’s again a stranger. In his childlike state, he stumbles into one hilarious conundrum after another in the dark scary city. In Matthew 25, Jesus reminds us that when we take the stranger in, we’re also showing Christ how much we love Him. Sometimes life brings people into our orbit who don’t quite fit in, but it’s our job to welcome them into the family. They may end up being a pure delight, just like Buddy. He’s a mean one. #TheGrinch starring Benedict Cumberbatch, in theaters November 9. Watch the trailer now. Link in bio. Dr. Suess’ “How the Grinch Stole Christmas” has been adapted into multiple films over the years including as an animated release this year starring Benedict Cumberbatch. The Grinch, with his sour and grumpy attitude, hates seeing the Whos of Whoville celebrate Christmas. Despite his best efforts to cancel Christmas, young Cindy Lou Who shows The Grinch a radical act of love. She teaches him that the holiday is about more than presents, growing his heart three sizes. In Matthew 11:25, Jesus reminds us that often God has hidden insights “from the wise and learned, and revealed them to little children.” For those of us who may feel that our hearts have hardened, sometimes God shares His message of love through the compassion and insights of a small child. Tchaikovsky’s Nutcracker ballet has been a Christmas staple since its debut in 1892. 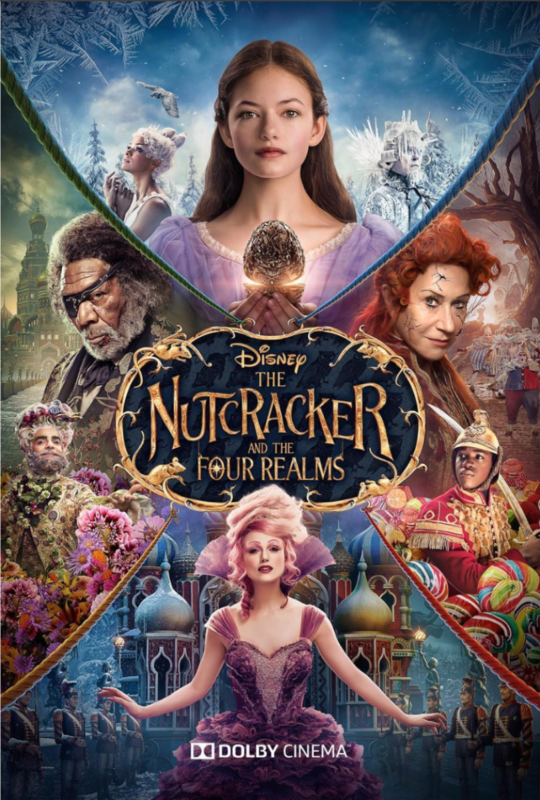 However, in 2018 Disney reimaged the story and brought it to light on the big screen with “The Nutcracker and the Four Realms.” The beauty of the ballet partnered with a fanciful soundtrack reminds us that God delights in our dancing and joy. “You turned my wailing into dancing; you removed my sackcloth and clothed me with joy, that my heart may sing your praises and not be silent.” (Psalm 30:11-12). Music and dance can connect us on a soul-level to the Source of all joy. Be merry and celebrate God’s beauty with this awe-inducing ballet. Charles Dickens’ “A Christmas Carol” has been brought to life on the silver screen many times, including by surprising casts like The Muppets or Mickey Mouse. However, we particularly love the 2009 adaptation starring Jim Carey. Ebenezer Scrooge is miserly and only cares about growing ever richer, neglecting his city’s poor and overworking his staff. 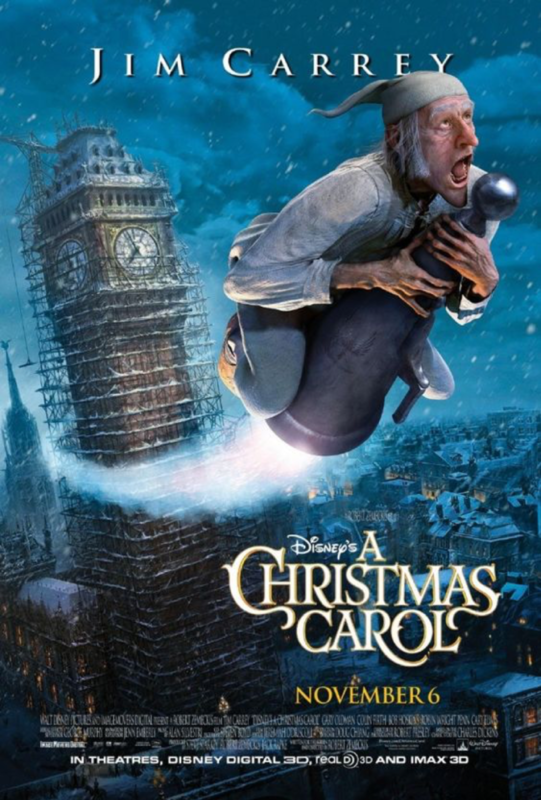 It’s only through a supernatural experience that Scrooge realizes that his greed is a source of great harm in his community and leading him towards personal destruction. The Bible speaks often of the dangers of greed. In Luke 12:15 Jesus urges us to “watch out! Be on your guard against all kinds of greed; life does not consist in an abundance of possessions.” “A Christmas Carol” reminds us that Christmas is about giving – What a beautiful gift God gave us through sending us His Son. Through that grace, we’re empowered to give generously to our communities as well.